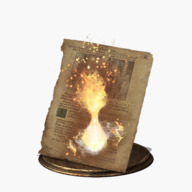 Miracles are on of the three available Spell types in Dark Souls III, the other ones being Sorceries and Pyromancies. 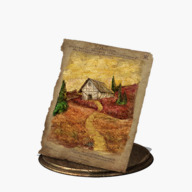 Casting a miracle requires either a Chime or a Talisman, as well as sufficient Faith. Most miracles can be learned from the miracle trainers Irina of Carim and Karla. Attracts enemies towards the caster. Works in a similar to the Alluring Skull. Found in Farron Keep, near the Farron Keep Perimeter bonfire. Adds slow HP regeneration and Physical damage to the right-hand weapon. Lasts for 45 seconds. 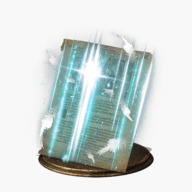 Can be bought from Irina of Carim for 8,000 souls after giving her the Braille Divine Tome of Lothric. Gradually restores a large amount of HP. 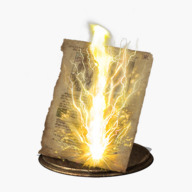 Can be bought from Irina of Carim for 5,000 souls after giving her the Braille Divine Tome of Lothric. Gradually restores a large amount of HP for self and others in a broad area. Transposed from the Soul of Rosaria. Requires progressing through Leonhard's questline. 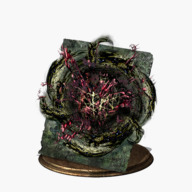 Can be bought from Irina of Carim for 1,500 souls. 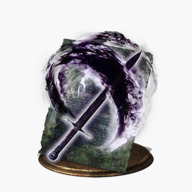 Adds Dark damage to the right-hand weapon]. 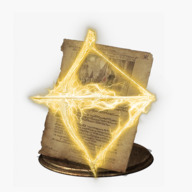 Can be bought Irina of Carim or Karla for 10,000 souls after giving either of them the Londor Braille Divine Tome. Adds Magic damage to the right-hand weapon. 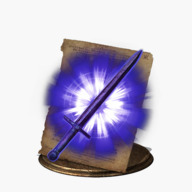 Reward for offering 30 Proofs of a Concord Kept to the Blade of the Darkmoon covenant. Detonates nearby corpses, dealing Dark damage. 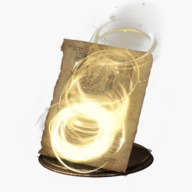 Can be bought from Irina of Carim or Karla for 5,000 souls after giving either of them the Londor Braille Divine Tome. Slightly increases attack damage, damage absorption, resistances and stamina regeneration. Lasts for 60 seconds. Can be bought from Irina of Carim or Karla for 4,000 souls after giving either of them the Deep Braille Divine Tome. Casts multiple pillars of light in vicinity, dealing Physical damage. 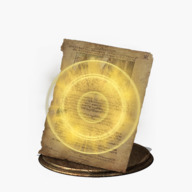 Found at the top of the Grand Archives, in a golden cage just below the ceiling. Can be reached by dropping down through the center of the roof. Summons a large projectile-like swarm of insects to ravage an enemy, inflicting both ??? damage and Bleed. 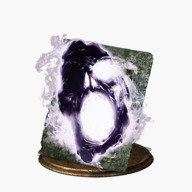 Found in Irithyll of the Boreal Valley, locked in a side area near the Central Irithyll bonfire. Can be reached by finding the illusory railing near the Church of Yorshka and following the path down. Received from Siegward of Catarina in Irithyll of the Boreal Valley. Emits a spherical shockwave, dealing no damage but staggering opponents. Can deflect projectiles. Can be bought from Irina of Carim for 1,000 souls after giving her the Braille Divine Tome of Carim. Launches a projectile-like swarm of insects towards the target, dealing damage and causing Bleed build-up. Can be bought from Irina of Carim for 2,000 souls after giving her the Deep Braille Divine Tome. Restores a large amount of HP for the caster and those in the vicinity. 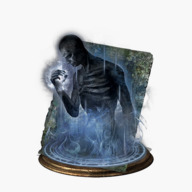 Found in Irithyll of the Boreal Valley, in the swamp below the entrance to the city. Hurls a giant lightning spear towards the target, dealing Lightning damage. 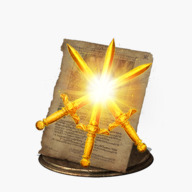 Reward for offering 30 Sunlight Medals to the Warriors of Sunlight covenant. Greatly increases Magic damage absorption. 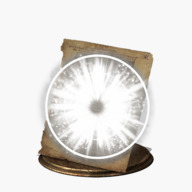 Found on Archdragon Peak, on a roof near the Great Belfy bonfire, next to a dead Wyvern, guarded by Havel the Rock. Restores HP for the caster and allies in the vicinity. 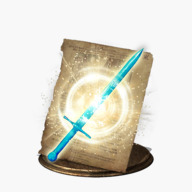 Starting miracle for the Cleric; Can be bought from Irina of Carim for 1,000 souls. Starting miracle for the Herald; Can be bought from the Shrine Handmaid for 500 souls. 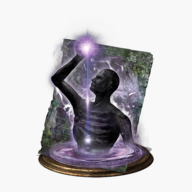 Can be bought from Irina of Carim for 3,000 souls. 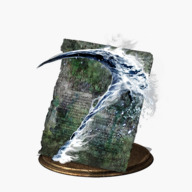 Hits with an illusory scythe, and leeches HP. Transposed from the Soul of Aldrich. Fires a lightning arrow towards your target, dealing Lightning damage. 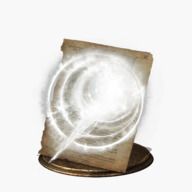 Found in the Ringed City, behind an illusory wall in the building after the bridge guarded by Darkeater Midir. Adds Lightning damage to the right-hand weapon. 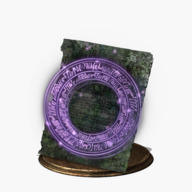 Found in Irithyll Dungeon, in the elevator shaft leading leading to the Archdragon Peak "entrance". Hurls a lightning spear at the target, dealing Lightning damage. Found above Farron Keep, on the bridge reached from the Old Wolf of Farron bonfire. Strikes the target with stake of lightning, dealing Lightning damage. Dropped by the Carthus Sandworm in the Smouldering Lake, just in front the entrance to the Old Demon King arena. 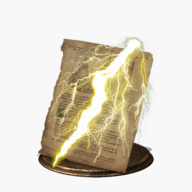 Calls forth furious bolts of Lightning around the caster. Transposed from the Soul of the Nameless King for 5,000 souls. Temporarily increases the Magic damage absorption. Restores moderate HP for the caster and allies in the vicinity. Can be bought from Irina of Carim for 3,500 souls after giving her the Braille Divine Tome of Carim. Casts a light orb projectile, that heals any ally it passes through. 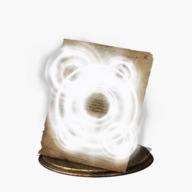 Found in the Dreg Heap, in the area reached by dropping down from a ledge where Amnesiac Lapp is encountered for the first time. Restores 5 HP every second for 60 seconds. 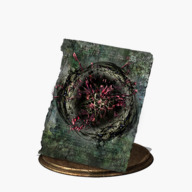 Can be bought from Irina of Carim for 1,000 souls. Increases attack damage and damage absorption for 60 seconds. 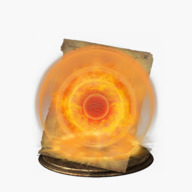 Reward for offering 10 Sunlight Medals to the Warriors of Sunlight covenant. 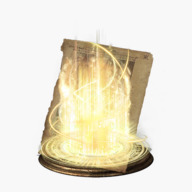 Restores a large amount of HP for the caster and allies in vicinity. Transposed from the Soul of the Dancer for 5,000 souls. Hurls a sunlight spear towards the target, dealing Lightning damage. Transposed from the Soul of the Lords. Upon reaching 0 HP, you will regain a small amount of HP, preventing your would-be death. 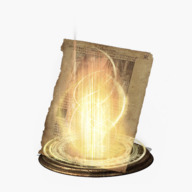 Can be bought from Irina of Carim for 10,000 souls after giving her the Braille Divine Tome of Carim. Prevents spells in the vicinity, including one's own. 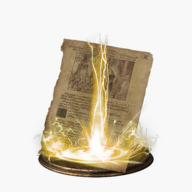 Can be bought from Irina of Carim for 15,000 souls after giving her the Londor Braille Divine Tome. 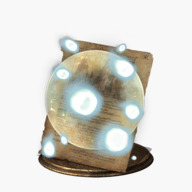 Casts a light discus projectile that slices through enemies, dealing Physical damage, and returns to the caster. Found in the Painted World of Ariandel, in the church at the end of the Corvian Settlement. Emits a shockwave dealing heavy damage to anything hit by it. 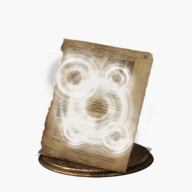 Found in the Profaned Captial, inside the hidden chapel in the toxic swamp area.